It amazing how often I use that phrase. The truth is the healing powers of Reiki is for everyone but more than that it is just so fulfilling and easy to becoming a Reiki Master. Reiki is a three level process. They are Level 1, Level 2 and Reiki Master / Healer, personally I am qualified in all three as well as being a Master Trainer, and I teach all three, which I have been practicing and doing for more that 15years. 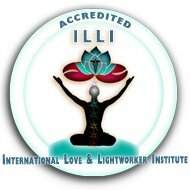 The first level, Reiki 1 is where you will be introduced to Reiki, its origins and principals and at the end of the course you will be entitled to your first attunement as well as qualified, and certificated, to perform Reiki Healing on yourself. 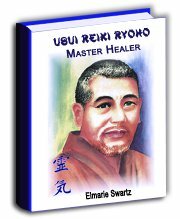 In the second level, Reiki 2 is where you build on the foundations as laid out in Reiki 1. During this level you will receive the Reiki Symbols, these energetic symbols are each used for different, techniques which you will learn and you will then get your second attunement. You are now in a position to be able to practice your Reiki powers on yourself, family, friends, animals and even the earth, you would also be in a position to practice as a professional Reiki Healer. I am often asked how long does it take to qualify at these two levels? Other than the recommended 21days between attunements, its up to you. How fast do you learn and absorb new material. This is the third level, which build on levels 1 and 2, by the time we have gone through this level you will have received your level 3 attunements to the Reiki power and you will also receive the all important and powerful Master Symbol. This empowerment is the beginning of an amazing journey of inner peace, self realization and endless possibilities. In Reiki Level III (Advanced) or Reiki Master Healer training you will receive the ability to use the master symbol for healing which enhances your effectiveness as a Reiki practitioner. I will teach you more advanced techniques which include psychic surgery and the use of a crystal grid. Reiki Master Healer Training brings what you have learned so far in Reiki Level I and II together and prepares you for the step up to Master/Teacher level training. Dear Madam, thank you very much for becoming my teacher, for providing me with Reiki Master and Crystal Healing training. I would always be looking forward for your continued guidance and blessings on this beautiful journey of my life. Dear Elmarie, thank you for helping me on this amazing Reiki Journey. Thank you also for gifting the course on Crystal Healing it was so unexpected. Doing this course has been a pleasure and I look forward to continuing to practice Reiki healing techniques into the future. Thank you for your ongoing guidance and support it is very much appreciated. Place non dominant hand at the base of the skull and with the dominant hand over the top of your head (palm facing head), sign the power symbol (CKR) once saying its name three times, then sign the emotional symbol (SHK) once saying its name three times, then again sign the power symbol (CKR) once saying its name three times. Then place the signing hand on the top of the head. Now, with both hands remaining on the head, repeat the affirmation for 3-5 minutes, or for a rise and fall of the energy, or as many times as felt necessary. Sample affirmation - "I now have what I need to see the issues in my life in a new way and the wisdom, strength, courage and love to follow through with what is given." You can use whatever affirmation desired so long as it is in the positive (absolutely no negative words as no, not, don't, etc.) and in the present tense. I so look forward to having you join me on this magical Reiki journey to becoming a Reiki Master Healer. As your Reiki Master any help and guidance that you may need will be given to you even after your attunement has been done and your certificate issued. My support and advice is available to you for as long as you need it. I look forward to your attunement and to hand over your certificate from HJE School of Energy Healing. 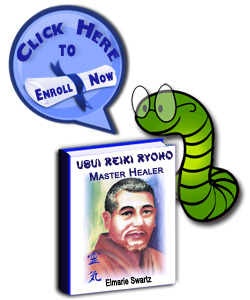 Become a Reiki Master Healer NOW! Reiki I, II and III bundled for your convenience. You will receive all three modules enabling you to study Reiki at home, at your own unique pace. On completion of these self improvement training courses you will receive full certification from Healing Journeys Energy.